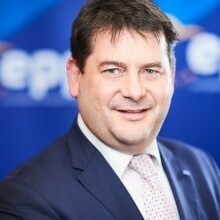 Dara Murphy is formerly Minister of State for European Affairs, Data Protection and the EU Single Digital Market having been appointed to the role in May 2016. In the Dáil, he previously served as Chairman of Internal Fine Gael Committee on European Affairs, Foreign Affairs & Trade. He was also Vice Chairman of the Dáil Committee on European Union Affairs and a Member of the Dáil Committee on Finance and Public Expenditure and Reform. Dara was a member of Local Government from 2004 and was elected Lord Mayor of Cork in 2009. He was elected to the Dáil in March 2011. Previously, he served as chairman of Cork Policing Committee in 2005-2009, was a member of the Cork Docklands Committee and was appointed by Taoiseach John Bruton to be his representative on the National Economic & Social Council in 1995-1998.